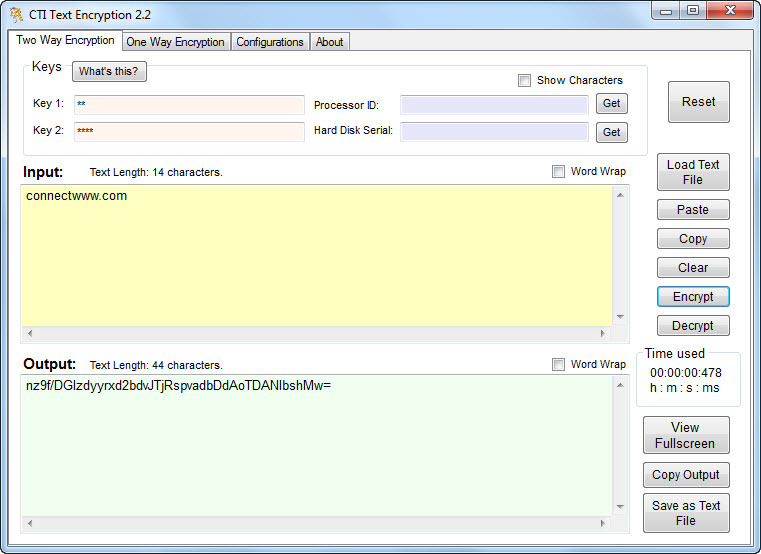 CTI Text Encryption is free text encryption and decryption tool to hide your sensitive information from others. Each encrypted result is not the same. Generated code is not reversible. separate the Encrypted Code into several blocks (sections, partitions).